HELP ME TO WARMLY WELCOME ANDREW SCHINDLER TO RAJIWORLD! RajiWorld is carrying on a long tradition of having good karma when it comes to being matched with the best interns in the world! 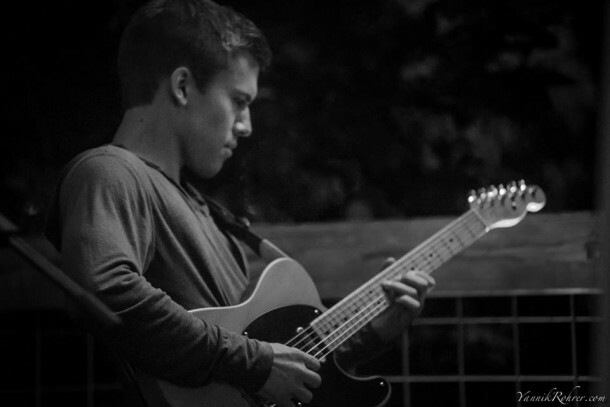 A very evolved guitar player and a recent graduate of the McCombs School of Business AND The Butler School of Music, Andrew is driven to push himself and others to create refreshingly original experiences that take us to the height of our abilities. In the past month that I have had the pleasure of supervising his work, I have become the student! Please help me expand the opportunities I can afford Andrew in our work together. Let me know if you have a project on deck that RajiWorld is right for but did not have the man power to accept previously, we just might be able to now! Andrew also accepts additional work in the studio, as a graphic artist and on stage.